As Black Friday is almost here Amazon already lined up some of its great deals on its Black Friday 2016 page. We will update this page during Black Friday week and Cyber Monday with most recent deals on Amazon store. Let’s start with Amazon all times hit released several years ago but still one of the best devices for reading your e-books. It is all-new Kindle device. When first Kindle just hit the shelves in 2007 it was selling for outrageous $399 price (it seemed normal back then though when it was one of the first devices on markets). But now several years later you can get 8th generation all new device for just $49.99 this Black Friday. It sells regularly for $79.99. Yes it came down from $399 to $49.99. It is 8th generation and 8 times price difference now. So grab yours if you still don’t own one. If you want to step up a notch it may be time to go for Kindle Paperwhite which has an amazing 1440×1080, 300 ppi E Ink Carta HD display. No matter how hard you will look there is a little chance that you will find pixels on this display. And if you like to read at night it has a built in light in its screen with brightness you have full control off. So you can read your Kindle Paperwhite at night without bothering your partner. Or you can lit up the screen to full brightness and use it as a low power light torch to get to the bathroom. And if you travel a lot you may want to get a 3G version of it. Now since we’re about to enter Black Friday pricing on Kindle Paperwhite also dropped. Version with Wi-Fi and special offers is available for only $99.99 now (regular price is $119.99). 3G version with special offers is $169.99 (a bit too much for 3G in my opinion but some folks really need it). Now let’s get to more expensive options. Kindle Voyage is probably entering mass market now since its priced for Black Friday is just $169.99 which is border line affordable in my opinion. But you get glass screen and 6 LED lights behind the screen. It does adds up to brightness and contrast of the screen but given that Kindle Paperwhite already has superb contrast it is hard to make it better given that both devices share the same screen. But due to the glass screen and LED lights it is visually different from Paperwhite and has a bit more contrast. As a bonus Kindle Voyage has “PagePress” technology when you can press on the sides of the Kindle and page will magically turn. Overall it is a very comfortable device and it fills like a step up from Kindle Paperwhite. Though you will be happy with either device. Kindle 8th generation is $49.99 (was $79.99). Biggest discount, great device. Kindle Paperwhite is $99.99 (was $119.99). $20 discount, probably best device Amazon ever released. Kindle Voyage is $169.99. Everything you may ever need from Kindle. Refurbished device from Amazon is claimed to be: refurbished, tested, and certified to look and work like new. 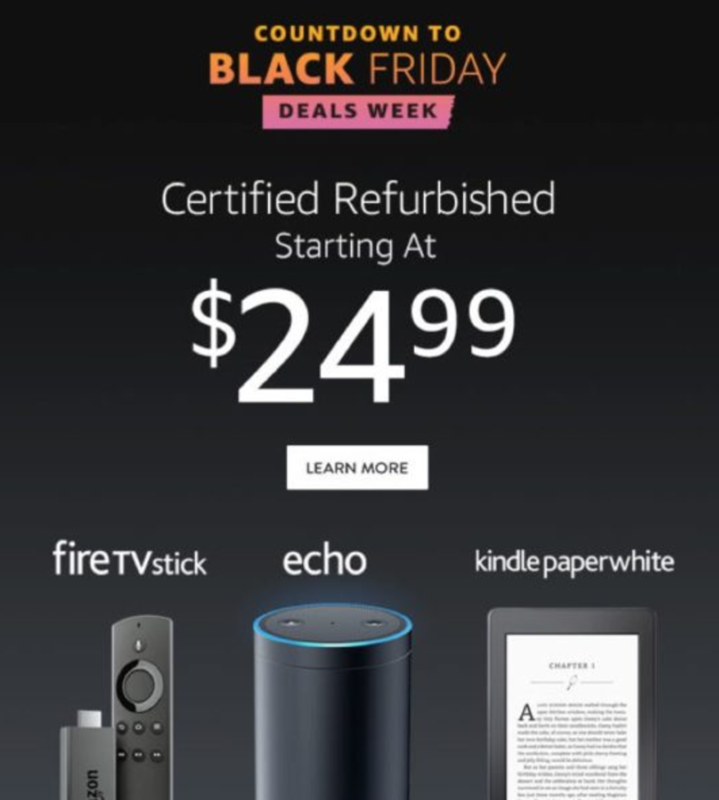 So given this claim and that any Refurbished device from Amazon “Is subject to the same return policy as any new Amazon Device” you can order one with a piece of mind. Deals on refurbished Kindles are actually very good this Black Friday. Certified Refurbished Kindle Paperwhite could be yours for $79.99 (new one is regularly priced at $119.99 and Black Friday deal for new one is $99.99). So $20 difference here. Certified Refurbished Kindle Voyage is $119.99. New one on Black Friday deal is $169.99 .$40 difference here which is better than Kindle Paperwhite’s. It is worth noting that Refurbished Kindle Fire HD 10 Tablet with 10.1 inch display, Wi-Fi and 16GB is on sale for $159.99. This is quite a good deal given that you will get full featured tablet with large screen. If you’re looking for the Kindle Bundle (Kindle + cover) deals there are some good news for you too. Let’s start with Kindle for Kids Bundle with cover. This bundle includes Kindle Device we noticed above and All-New Nupro Kindle Case (8th generation). Amazon priced it at $69.99 which is 44% lower than regular $124.98 price. Kindle Essentials Bundle is available this Black Friday for $84.97 which includes Amazon Kindle 8th generation (regularly priced at $79.99) and Amazon Cover for Kindle (regularly priced at $29.99) and Amazon 5W power adapter (priced at $19.99). Kindle Paperwhite Essentials Bundle is priced this Black Friday at $139.97. It includes the latest Kindle 6″ E-Reader with Special Offers ($79.99), Amazon Cover for Kindle ($29.99), and Amazon 5W Power Adapter ($19.99). If you’re shopping from outside of United States you need to check International Kindle Deals. Below are some details and pricing about them. All-new Kindle e-reader (8th generation) 6 inch is available for $69.99 (regular price is $99.99) this Black Friday. Kindle Paperwhite e-reader (3rd generation) 6 inch with 300 PPI high resolution display is selling for $119.99 this Black Friday. Regular price is $139.99. Kindle Voyage e-reader is selling for $189.99 which is $30.00 lower than regular $219.99 price. We will update this section soon. While we’re still updating you could check Amazon Cyber Monday page. Barnes & Nobles just announced the new Nook Tablet 7. It is the company most affordable Nook device ever with a price of $49.99. With previous Nooks priced at more than $100 new Nook Tablet 7 is a Barnes & Nobles entrances to a completely new niche of dirt cheap tablets. With declining sales of Nooks (Nook sales declined 24.5% from last year to $41.0 million for the first quarter) it is not clear if new Nook Tablet 7 is going to bring back the momentum in Barnes & Nobles tablet game. Nook Tablet 7 is priced to match a competitor Kindle Fire 7 tablet from Amazon which is also priced at $49.99. Performance details are not yet available so we are not able to comment on it at this moment. Nook Tablet 7 has potentially enticing feature for some customers with Google Play store available on the device. Kindle Fire 7 has its own Amazon only app store and there is no way to use Google Play store without hacking the device. 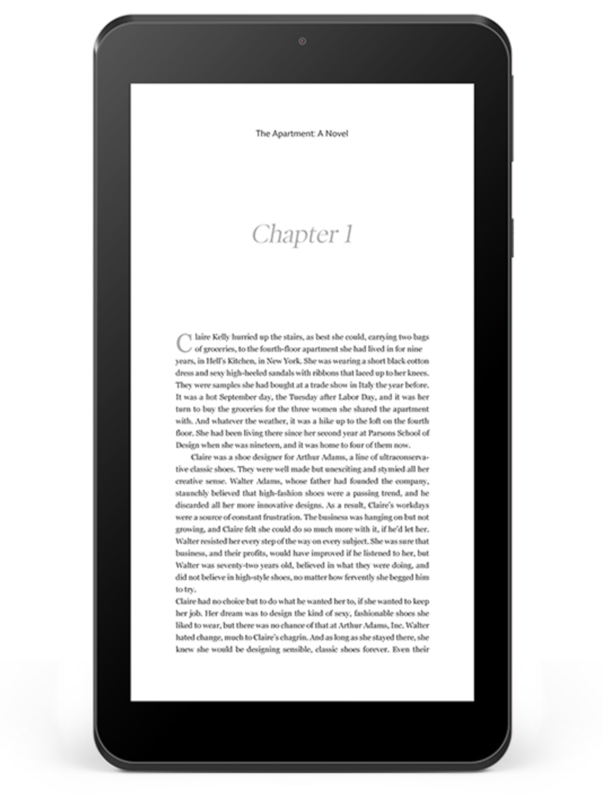 Nook Tablet 7 will be available in all Barnes & Nobles stores on Black Friday day. According to authorearnings.com Nook has 8% of the e-reader market while Amazon has 71%. Google together with Sprint are brining RCS – Rich Communication Service – to Android devices. Sprint is the first carrier partner for Google in an effort to bring RCS to its Android devices. RCS on Sprint will enable enhanced messaging features on Android phones like better group messaging, high resolution photo sharing, advanced file transfer, typing indicators and read receipts. RCS is a GSM Association program which was created by GSM Association in order to create an inter-operator communication services based on IP Multimedia Subsystem. Google acquired RCS provider Jibe Mobile in September 2015. And the Jibe cloud platform will power new RCS service for Sprint. RCS could be described as SMS messaging on steroids. It’s a standard which modernizes SMS and brings many advanced features currently available only on messaging apps. These includes group chats, read receipts (pingbacks indicating that message was read by recipient) and typing indicators. It could also transfer images and files many times larger than what is currently supported by MMS. 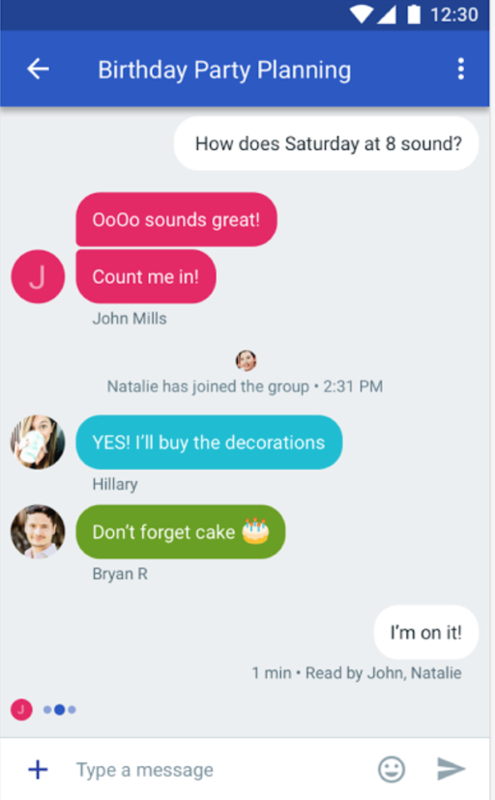 It also features support for group messages which allows users to create new groups, join groups and leave groups when needed. Those Sprint customers who use select LG and Nexus phones will get an automatic update while other customers will have to install update manually from the Play Store by downloading Messenger app from the app store. New Pixel phones from Google has Messenger app preloaded so for all customers with Pixel phones on Sprint RCS will be enabled by default. Also beginning next year every Android Spring phone will come preloaded with Messenger app and RCS enabled. You can get more details on this offer via Sprint customer service department. RCS is another step by Google to compete with Apple iMessage infrastructure. The problem though is that adoption of RCS is currently limited and users on Sprint with RCS won’t be able to effectively use it with users on other mobile providers. Google promised to enable RCS on other mobile providers in “coming months”. In order to use RCS on Android phone users will have to use Messenger app. This app is different from Allo app which Google promotes and which has AI intellectual assistant. Allo works cross-platform but given its late entry to already saturated messenger market it may have problems competing with existing messengers. Apple pay has seen a meteoric rise in popularity since its launch on October 20, 2014. According to new analytics data it now ranks as a fifth most popular payment system within top 10,000 websites. It ranks on fifth position with only 0.25% of adoption rate but this number looks quite solid in comparison to what percent of adoption other payment systems in top 5 have. According to most recent analytics report Paypal is on a first place with 2.36%. Paypal “subscribe” which provides an easy payment option for recurring subscriptions is adopted by 0.98% of top 10,000 websites. Stripe comes at third place with 0.35%. Braintree payments is just a little below Stripe at 0.32%. So as you can see Apple Pay is not far away from its Stripe and Braintree competitors in third and fourth place. With the release of the 2016 Macbook Pro featuring Touch ID sensor Apple Pay may see even quicker adoption. Recent reports suggest that new Macbook Pro is going to be a successful product and Apple Pay is an integral part of user experience on it. So every new Macbook Pro user is a potential new customer of Apple Pay. Lots of websites from top 10,000 gather statistics on users’ operating systems and hardware. And if devices with support of Apple Pay will start having a statistical significance in website analytics reports then there is a good chance that website owners will invest resources in adding Apple Pay as a new payment option. This makes Macbook Pro with Touch ID sensor an important step towards getting Apple Pay adopted by more and more websites. 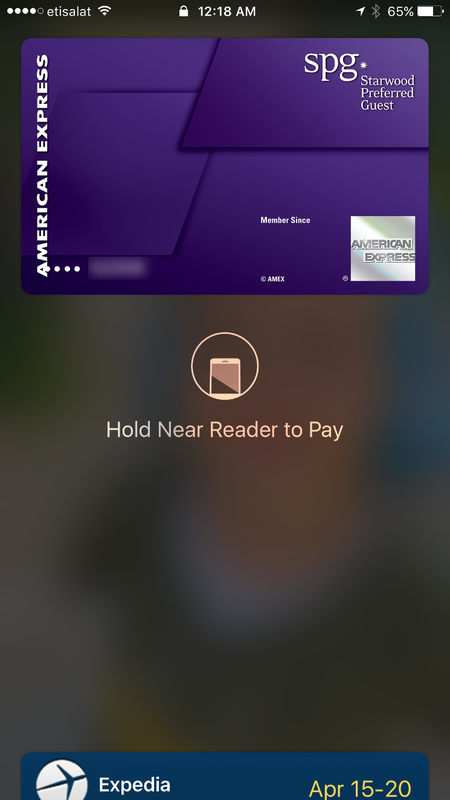 Apple is pushing Apple Pay quite aggressively into more and more markets. It just launched Apple Pay in Russia with Sberbank and MasterCard support. And just hours ago Apple Pay got support of 30 new banks and credit union in Australia and Orange Cash in France. Expanding to different countries is a good strategy which possible can boost Apple Pay above its Stripe and Braintree competitors. The only competitor which it may have some problems with is Paypal. Due to long history, wide adoption and relatively easy integration Paypal will continue to be a significant player for a long time to come. Barnes & Nobles stopped working on its Nook brand couple of years ago. 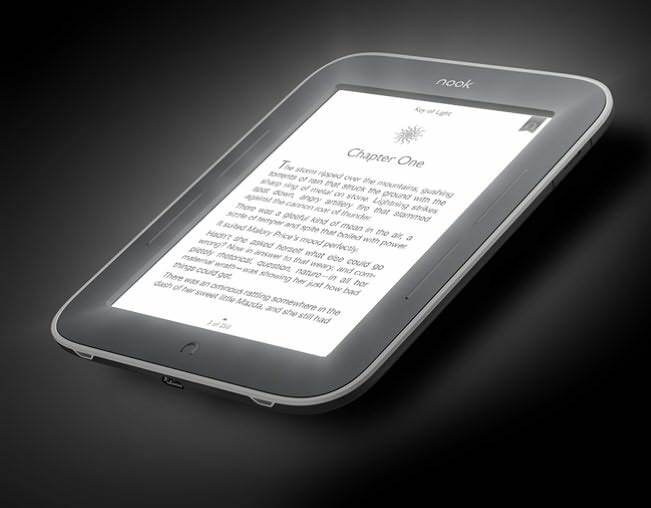 Instead it started working with 3rd party manufacturers to co-brand their devices with Nook name. But now it looks like Barnes & Nobles has restarted work on its own Nook devices again with planned release of Nook device called Nook Tablet 7. The device just passed FCC. FCC documents don’t have much information in them but at least they have information that new Nook device will run on Android and will have Google Play store on it. It is possible that Nook Tablet 7 will directly compete with $50 Amazon Kindle Fire tablet offering but it is just a speculation at this point. We need to wait and see actual device to draw conclusions. We hope that we will find out soon and device may show up for upcoming holidays. Discount that we reported on multiple Kindle products is discontinued for now. Serveral days ago Amazon reduced pricing on Kindle Paperwhite, Kindle 6″ and Kindle Voyage by $20. At this moment prices are back to where they were before the discount. We hope that it wasn’t just one time discount and closer to Black Friday we will see more discounts on Kindle products from Amazon. Black Friday and Cyber Monday are just 3 weeks from now. So it is a good time to start planning ahead on what you’d like to get. But as you just saw Kindle discounts could show up earlier than official Black Friday dates. So it would be a good habbit to check Amazon Black Friday page once every few days to see if any new discounts are available. And don’t be disappointed if there aren’t any. Kindle discounts almost always show up several times during Amazon Black Friday sale. You can check current deals and countdown to Black Friday on following Amazon page: https://www.amazon.com/Black-Friday. You can find nice deals there every day. Also make sure to check Amazon Echo product page. Amazon is running nice sale there too. 25 days before Black Friday Amazon lowered price of its Amazon Paperwhite from $119.99 to $99.99. 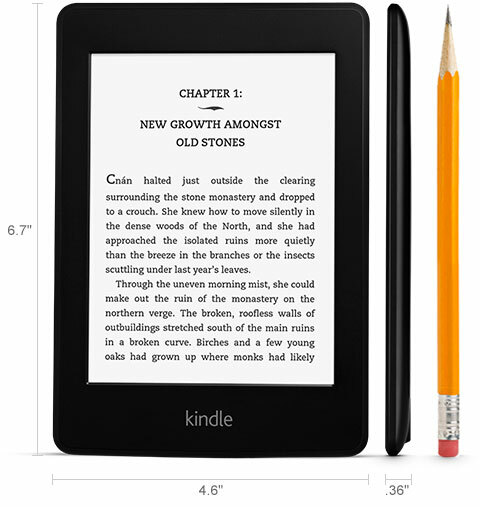 Kindle Paperwhite is one of Amazon bestselling devices which provides the best value for its cost. Besides Kindle Paperwhite following Kindle products also got $20 discount. Kindle 6″ is now $79.99 after $20 discount (was $99.99). Kindle Voyage is $179.99 after $20 discount (was $199.99). Based on previous Black Friday discounts this deal will probably be there until Black Friday holiday or even until official Amazon Black Friday close date on December 22nd. But it is also possible that Amazon will stop the deal for sometime and re-launch it again later to spark more interest. So sit tight! Last month Amazon announced it will hire 120,000 holiday workers to help with holiday demand. New Amazon deals are now available on Amazon official Black Friday page at https://amazon.com/blackfriday. To choose which devices is the best for you visit following page https://www.amazon.com/Amazon-Kindle-Ereader-Family/b?ie=UTF8&node=6669702011 which has features and specs of every device in Kindle family displayed side by side. Amazon Kindle Paperwhite can handle quite a lot of books without breaking a sweat. But if your books are all about images even it can ran out of storage capacity rather quickly. 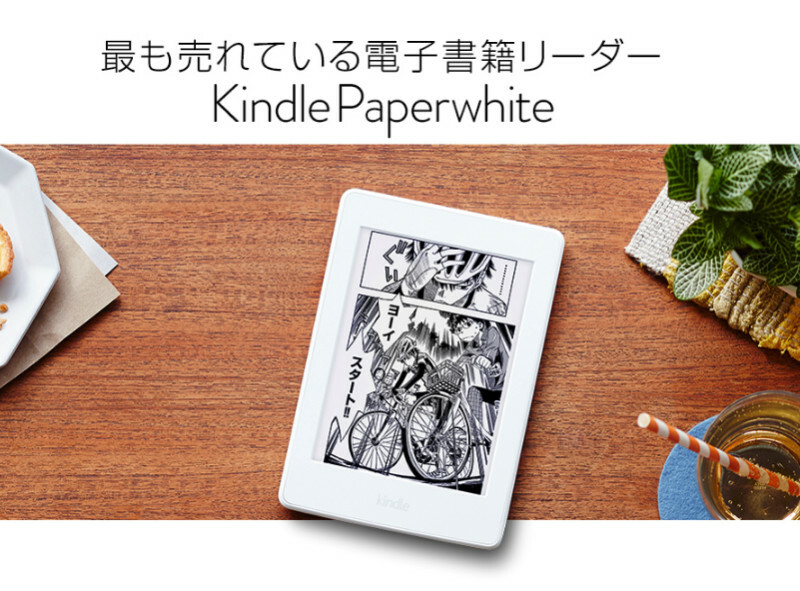 To address this Amazon Japan issued a special version of Kindle which storage is 8 times more than typical Kindle Paperwhite 4GB. It has total 32GB of storage and improved performance to deal with complex images in manga books. Additional performance of this Kindle allows up to 33% faster page turning and display of multiple pages of a book side by side. Here is a list of additional features that Amazon is offering on its Kindle Paperwhite 32GB model. 8 times of storage capacity. Allows readers to save hundreds of comics book and thousands of books on Kindle device. Rapid page turn. Advanced processing capability of new Kindle allows up to 33% page turning speed. Also you can quickly skip pages at a speed of up to 7 pages per second. Comics could be read on any device you own. Any books or comics you download will be available on all of your devices including smartphones and PC. High resolution display. 300ppi display delivers crips and clear images of cartoon images and letters. Two-page display format. To enhance viewing experience you can view books in two-page display. Built-in light in display allows reading in low light conditions without eye strain. Batter which lasts several weeks. You can enjoy up to 6 weeks of reading (with brightness set on 10 and using it for 30 minutes per day with wireless connection off). Amazon Japan opened pre-orders this week for ¥16,280 (about USD 157). It is not clear if this Kindle model will be offered in other parts of the world but it is pretty clear that it could be a very popular offering. Probably Amazon is just testing the market demand for it in Japan. It used to be that publishing a book was a feat only achieved by the select few, and it was restricted to major publishing houses. Ebooks have completely shifted the way we think of publishing. 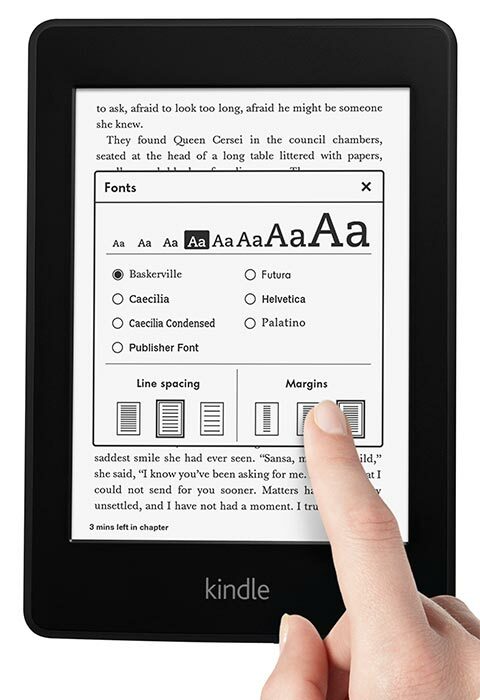 Anyone who can write and has some technology knowledge can publish via Kindle Direct Publishing. Now, we can take it even further, and open up the publishing process to children. A child’s dream to be a writer can be a reality. 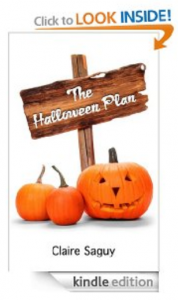 The Halloween Plan is a short story written by 10-year-old Claire Saguy, an avid Kindle reader and aspiring writer who is raising money for her school in Los Angeles. Schools are facing funding cuts all over the country. What a neat way to give back to her school and community. The plot is a dilemma we all know well. Sarah, a 5th grader, has to go to her younger sister’s Halloween show, but would much rather go to her friend’s birthday party instead. Sarah and her friends team up to come up with a plan that will allow Sarah to come to the party without her mom knowing. The plan takes some twists and turns that could go either way. The Halloween Plan teaches a lesson on the importance of honesty and good communication. It is a quick read, and the writing is quite good. A great short story for all ages, and just in time for Halloween. Hopefully Claire’s example will help encourage other kids hoping to become writers to publish their own ebooks as well. The lure of technology could be a great boost for literacy. This generation of children are pretty tech savvy. There are a number of children’s books on the Kindle, some with interactive content sure to make the story more fun and engaging. Amazon’s most recent Kindle Fire marketing effort is the introduction of Amazon Coins. They’ve released their own digital currency that can be used to purchase apps and games from the Amazon Appstore. On the surface it’s a confusing move, given the larger trend of companies moving away from internally controlled currencies, but there’s a lot to be said for the idea if it is handled correctly. Most users should already have received the email informing them that 500 Amazon Coins have been added to their account. That will hopefully give people a chance to get interested in the idea. This will not be blocking off real currency-based purchases, of course. That’s going to be an important consideration, since systems that completely replace all other forms of money with their own tend to enjoy little enthusiasm. One mistake easily avoided. Even Microsoft has been forced to begin removing their digital currency thanks to that approach despite a large and dedicated user base. Most likely, the goal here is twofold: Encourage more frequent spending and allow for more options where children are concerned. The addition of an alternate currency model that can be used for these tasks makes perfect sense so long as they are not forced on the customer without their input. Consider the potential for the Amazon Coin as a micro-transaction currency. Rather than needing to enter a password for every payment, a customer can purchase 100 coins for a dollar and spend them at their leisure with no hassle. Abuse is limited since there is a hard limit to how much of the currency is present at any given time. Annoying lists including dozens of $0.05-0.10 transactions are removed from statements. Customers even feel more free to make the occasional transaction they might otherwise have avoided, since the Coins are already sitting there. When it comes to children, this has the additional benefit of security. Nobody wants a repeat of the early iPad problems that resulted in thousands of dollars worth of purchases being made by those too young to grasp what they were doing, but at the same time parents often want to be able to allow free use of the devices. By setting up a separate wallet for this sort of thing, Amazon could allow these parents to offer an allowance of sorts that doesn’t require regular input of a password or PIN. Amazon is known for offering frequent promotions with purchases. This will certainly continue to be the case. While the occasional free MP3 or video credit might be beneficial for some and overlooked for others, it’s going to be easier to encourage people to make use of these freebies if they have a wallet to fill up with Amazon Coins. This will encourage app purchasing and use while giving developers even more incentive to join the platform. Considering the fact that Amazon’s Appstore for Android already shows superior returns when compared to the Google Play app store, it’s only going to get harder for anybody to justify staying away.